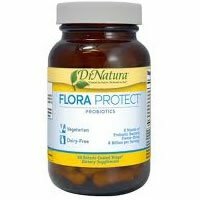 Our Ranking And Reviews Of The 10 Best Probiotics Supplements For 2019! Everyone knows the health benefits of probiotics these days. With hundreds of different brands out there in dozens of different forms such as capsules, tablets, powders, liquids, gums, shells, beads, and lozenges, how can you possibly know which one is right for you? If that’s the issue you’re facing, you’re going to be glad you found this site! Our probiotics experts continually rank, review and test just about every popular probiotic supplement on the market today. We’ll tell you which ones we like and which ones we’d avoid. We’ll tell you what’s in them, how they work, how much they cost and what they’re best used for. In a nutshell, we’ll tell you everything you need to know to find the best probiotic supplements for your particular situation. So if you’re looking to get all the health benefits that these provide, the following list of the best probiotics should point you in the right direction! 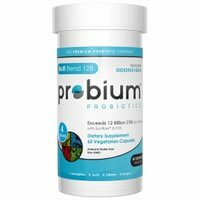 Probium Probiotics Multi Blend 12B is a fantastic product that’s flexible and should work well for the vast majority of people who try it. It’s very allergy friendly, has a solid strain profile, and contains prebiotics. Read the full review here… or click here to go buy it now! 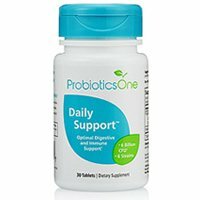 So What Exactly Makes A Good Probiotic Supplement? 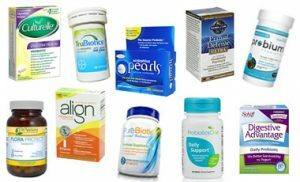 Over the last few years, me and my team have personally tested out over 200 probiotic brands. And by “tested”, I mean we actually bought and took the probiotics! Most review sites out there don’t ever actually buy and take what they’re reviewing. Anyway, after trying that many brands, I think we have a pretty good sense of what makes a good product, and what doesn’t. You see, most of the really good probiotic supplements out there tend to have some things in common. Of course they have their differences too, but we started to see some commonality in the good products the more and more brands we tested. I’ll go into more detail in a minute about what you should look for, but before I do, there’s one thing I want you to keep in mind. It’s simply this—everyone reacts differently to probiotics. But you’d be surprised how many people try out one supplement, don’t get the results they want, get angry and give up! The fact of the matter is, every person on Earth has a unique digestive tract composition. Even the organisms within each person’s body can be vastly different. All that means is a particular probiotic may work great for me, but not do anything for you. And what works well for you, might give me uncomfortable side effects. So if you try a particular brand we recommend, and it doesn’t work for you, don’t freak out! 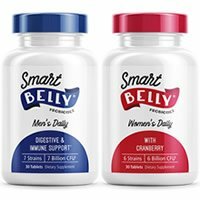 It could be a crappy product, or it may just not work for your unique situation and body. Either way, just pick out another one from our list until you find one that works. Keep in mind you’ll also want to confer with your doctor or medical provider about all this as well. 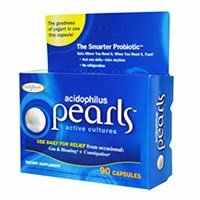 Ok so now that we got that out of the way, let’s move on to what exactly makes a good probiotic supplement. Which Probiotics Benefit Your Health The Most? Similar to what we just talked about, this is obviously the most important characteristic that all good probiotics share. Good probiotics just tend to work, and work well in most people. The list of health issues probiotics seem to help with is enormous. Everything from gas, indigestion and constipation all the way to energy and the immune system. If you talk to people, many credit probiotics with aiding in quite a few health concerns. So when you’re trying to find the best probiotics, this is the most important consideration. You want maximum health benefit in the area you’re looking to improve. It’s as simple as that. When comparing probiotics, what’s inside the pill, tablet or powder is obviously very important. Most probiotics contain a few different “types” or strains of probiotics as well as a few other things including prebiotics, something to help them survive stomach acid and fillers. Prebiotics can help the probiotics grow once they get into your digestive system. The delivery system helps the probiotics make the arduous journey from your mouth to your intestines alive and intact. Fillers help preserve the product and make it fit for human consumption. What ingredients these brands use to accomplish all this is of utmost importance. If a particular probiotic doesn’t include the right strains and amounts, it probably won’t work very well for most people. Prebiotics seem to help, but aren’t absolutely necessary. The delivery “system” employed by your chosen brand/product is very important. If your probiotics aren’t protected, and delivered safely into your gut, you’re just throwing money down the drain! Lastly, you want fillers that help make the product better, without exasperating any allergy concerns. 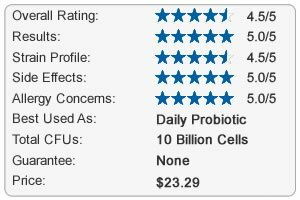 In all of our probiotic reviews, we’ll go into much more detail about all of these things. There’s a lot that goes into the ingredients, strains, CFUs and more found within probiotics. So be sure to check out our detailed reviews before making any purchase decisions! 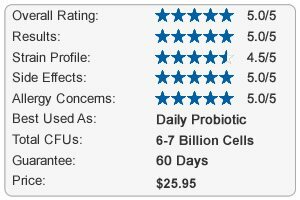 Does How Many CFUs A Probiotic Have Really Matter? This is a very interesting question that has a fairly simple answer. You see, most people think that more of something is ALWAYS better. That’s a fact that marketers have taken advantage of for centuries. If one is good, two must be better. If five is good, ten must be better. If 1 billion is good, 100 billion must be better! 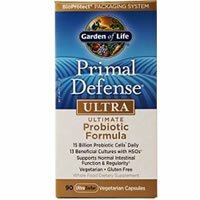 The truth of the matter, with regards to probiotics is the amount of CFUs isn’t as big a deal as most brands make it out to be (especially those Amazon-only brands). 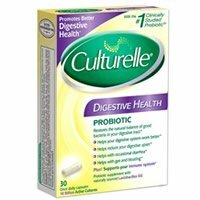 There’s still a lot of research being conducted on this very issue, but the most recent data suggests 5-10 billion CFUs if you’re taking a daily, general probiotic. And 15-45 billion seems to be ok if you’re taking them for a specific ailment. Anything more than that seems to be overkill. But again, if low dose products don’t work for you, talk to your doctor and see what he or she has to say. If you’d like to read more about this, check out our more detailed post here. By and large, the best probiotics out there aren’t those with the most CFUs. Survivability: Does Your Supplement Survive Stomach Acid? Even ahead of the ingredients, this is probably the most important factor in whether or not a probiotic works. 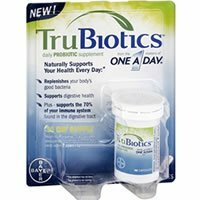 Anytime you take a probiotic, it has to make a very difficult journey throughout your digestive tract o get o our intestines where they can do some good. The biggest culprit in destroying probiotics is stomach acid. And if your probiotics can’t survive stomach acid, they’ll be dead long before they can start improving your health. Now, as for what “technology” companies use to increase the survivability, there are a few options out there. Some use enteric coated pills, special capsules and even patented systems like Bio-tract (our personal favorite). All of these work in different ways and vary in effectiveness. As mentioned above, one system, called Bio-tract is actually patented and has had some studies done on it. It works by forming a protective “barrier” around the tablet as soon as it gets wet (ie as soon as you ingest it). You can actually drop one of these special tablets into a glass of water and see the barrier start to form! This technology isn’t the only way to deliver probiotics successfully into the intestines, but it’s one of the best we’ve come across. As with most dietary supplements, this is a tricky subject. The “rules” about what is and isn’t an allergen are very gray. You see, most probiotics are grown in a culture that contains milk. But once the probiotics are dried and harvested, there’s virtually no trace of the milk or lactose left. But there is a tiny, microscopic amount left (that’s almost undetectable). So while most probiotics say they don’t contain milk, virtually all of them do. That tells you what kind of nuance we’re dealing with here! As to what to look out for, it’s all over the map when it comes to probiotics. Some contain varying amounts of soy, yeast, lactose, wheat, nuts, sugar, iron. Some also contain different chemicals, preservatives, artificial colors and flavors—the list goes on and on. We’ll try to alert you to common allergens found within a particular probiotic in that brand’s review. 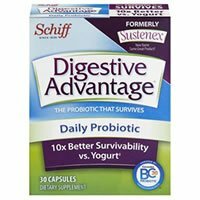 Just keep in mind that you’ll need to pay close attention to this when choosing the best probiotic for you. And try to choose one that has as few common allergens as possible! The short answer is… yes and no. But the fact of the matter is, different probiotics affect different people in different ways. 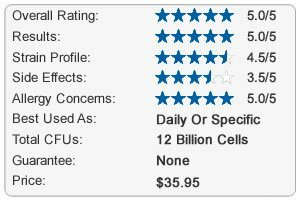 So as we discussed earlier, a particular brand may work great for me and give me no side effects. You may take that exact same supplement and get stomach pain and indigestion. Once again, it’s really a matter of finding a particular brand that works well for your particular situation, body and needs. In general, reported side effects with probiotic use are very low. Some people get some gas and bloating when they start using probiotics. Luckily, this is usually temporary and goes away with time. As always, it’s best to speak to your doctor before using probiotics just to go over these kinds of things. This applied doubly to children, the elderly or anyone who is very ill and/or has a compromised immune system. The vast majority of people get no side effects from probiotics, but it never hurts to get a professional’s opinion! 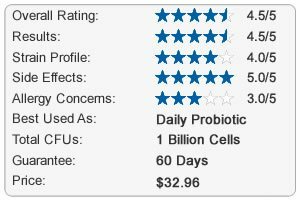 How Much Do The Best Probiotics Cost? Like virtually all supplements, pricing varies enormously from one brand to the next. And also like most supplements, price isn’t necessarily reflective of quality or effectiveness. That said, we’re not usually huge fans of super-cheap probiotics. They tend to be missing some of the things we like to see and aren’t always made of the best ingredients. 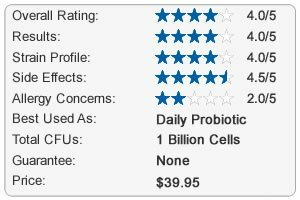 On the other hand, we’ve seen some very expensive probiotics that didn’t work any better than their less expensive counterparts. 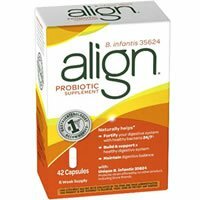 While we do go into this in our individual reviews of each product, we have noticed that many of the best probiotics fall within that $20-$30 range. That’s definitely not cheap for a month’s supply, but it’s not exorbitant either. There are some good products that go for less then this, and some that go for more. 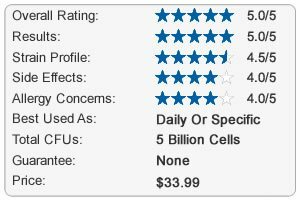 But in general, that price range seems to contain many of the better products we’ve tried. 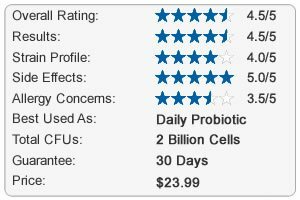 Similar to what we just discussed, you’ll always want to buy probiotics that come with a strong moneyback guarantee. That way, if they don’t work for you, you can send them back and get your money back. We actually pay a lot of attention to this in our individual reviews because it’s important. We just went on and on about how each person reacts differently to probiotics. So it’s important that you can get your money back if one doesn’t work for you. Luckily many of the best probiotics do! Another thing you’ll want to take into consideration about this is how easy it is, or isn’t to actually get your money back. Some companies make you jump through all these ridiculous hoops just to take advantage of their guarantee. 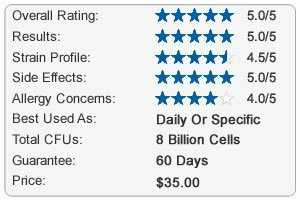 We’ll try to alert you about these companies in our reviews, but it’s always best to check it yourself. Ok, so we just went over a bunch of things you’ll want to consider when buying probiotics. This alone will put you light years ahead of what most people know. Once you’ve decide to try out a new product, be sure to take a look at the list of products above. We went to great lengths and expense over the last few years to develop that list. It incorporates virtually all of the criteria and “things to look out for” that we just spoke about. Before we leave you on or quest to find the perfect probiotic, there’s one last thing we’d like you to keep in mind. Finding the perfect product might involve a little bit of “trial and error”. If you try a particular product, and it doesn’t work for you for any reason. We’re confident that eventually, you’ll find the best probiotics that do all the things you want them to do!